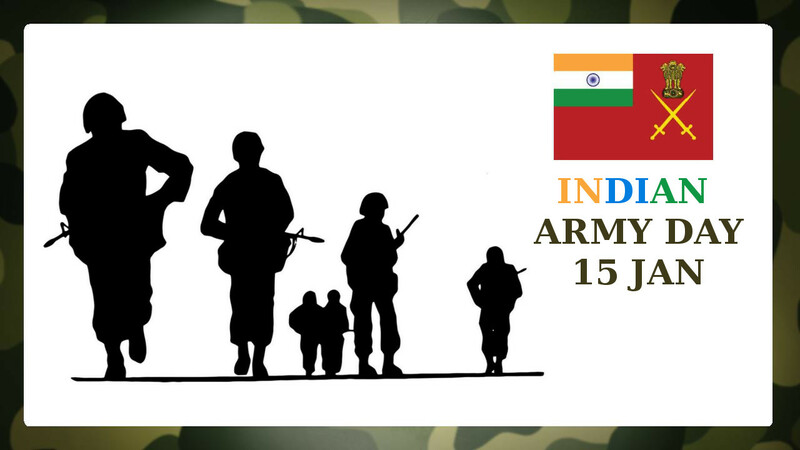 Army Day is celebrated on 15 January every year in India, in recognition of Lieutenant General K. M. Cariappa's taking over as the first Commander-in-Chief of the Indian Army from General Sir Francis Butcher, the last British Commander-in-Chief of India, on 15 January 1949. The day is celebrated in the form of parades and other military shows in the national capital New Delhi as well as all headquarters. On 15 January 2015 India celebrated 67th Indian Army day in New Delhi. Army Day marks a day to salute the valiant soldiers who sacrificed their lives to protect the country and the people living in it.